Don't miss this one!!! !This home offers so much. Beautifully renovated & move-in ready home with lots of upgrades! Fabulously designed kitchen with island, granite countertops, new flooring, and stainless steel appliances. Spacious 4 bedrooms floor plan, master bedroom with huge walk-in closet. Breath-taking master bathroom with garden tub, new tile walk-in shower, and high end finishes. bonus room or game room, formal dining. All bedrooms and closets are well sized. Large 3-car garage, Oasis back yard with renovated pool, sprinkler system, garden and fire pit, high efficacy AC units, fixed rate solar system with extremely low utility bills. 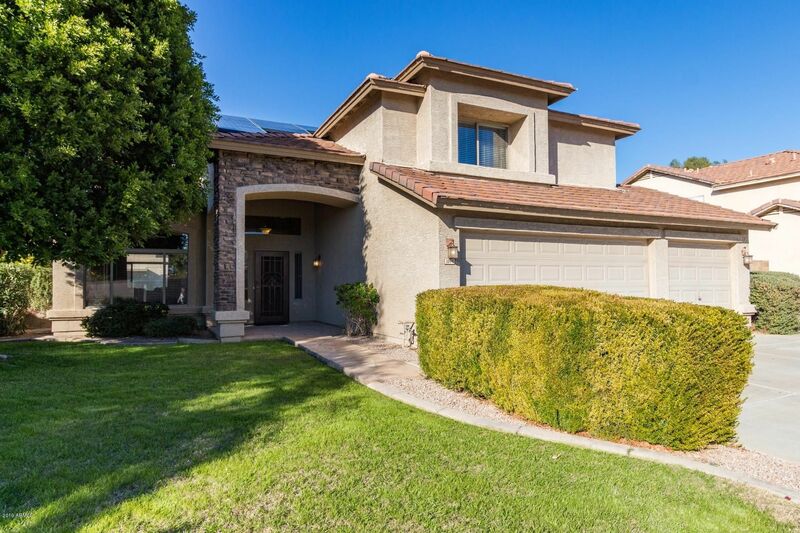 Located in the highly rated Gilbert School District and close to element school, Jr High and high school bus stop.